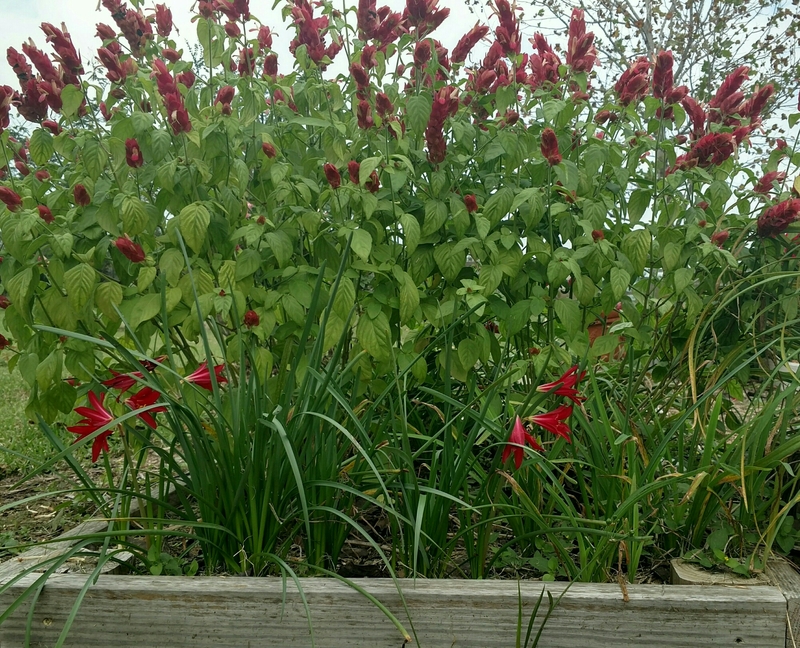 Oxblood Lilies Announce Fall with Brilliant Color! Oxblood Lilies Announce Fall is Eminent! Nestled in an area overtaken by the purple verbena, these gems are nearly forgotten each year … until Fall approaches … then they are hard to ignore! These flowers are from an heirloom bulb that is easily grown and passed along; Mine came from a good friend, and their arrival always invokes memories of a long history of friendship! 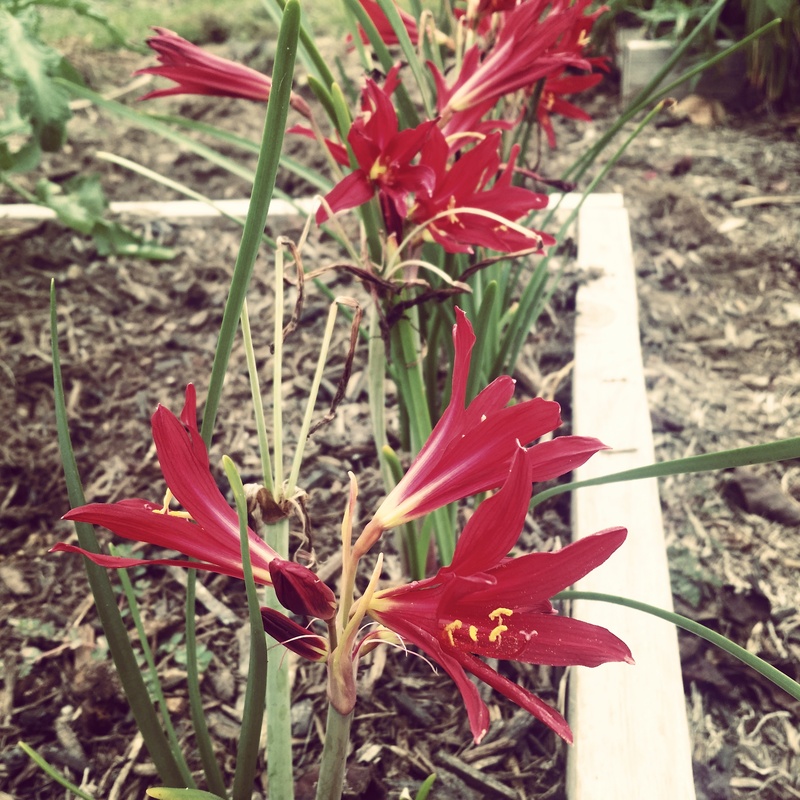 “Oxblood lilies” (Rhodophiala bifida) have a miniature amaryllis appearance; the stalks push up and produce the beautiful red blooms and the remaining foliage appears later — to gather the energy needed for survival over winter. They thrive in full sun and loose, well-drained soil — but are tolerant of a variety of conditions. 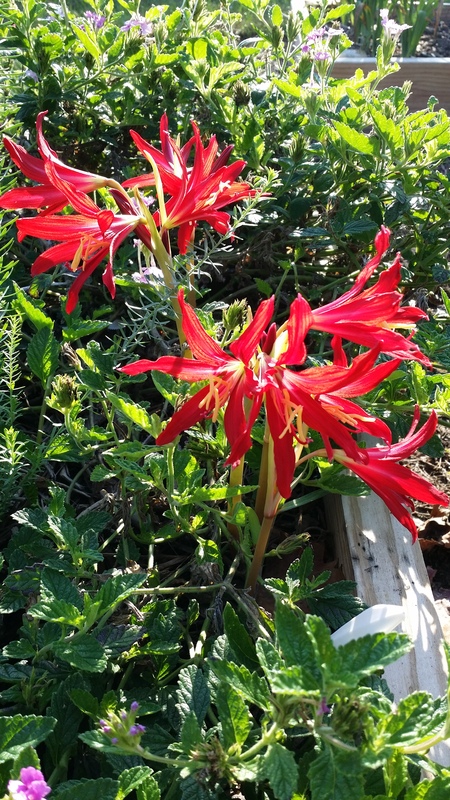 I moved them from an area with morning shade and full afternoon sun to an area with morning sun that fades to shade in the late afternoon and the flowers have emerged about 1.5 times larger this year. Now, I’m waiting for the rest of them to announce that the Texas summer heat is nearly over!